PIOGA does a thorough examination of the law and the serious municipal risks associated with CELDF drafted “community bill of rights” ordinances. News reports from across the country and publicity from interested organizations about litigation involving so-called “community bill of rights” ordinances have become more commonplace in recent months. These ordinances seek to ban, among other activities, lawful oil and gas operations. These efforts are bringing the significant legal, economic, and political issues to the attention of the public outside the municipalities involved—something both proponents and opponents of these ordinances want, but for different reasons. 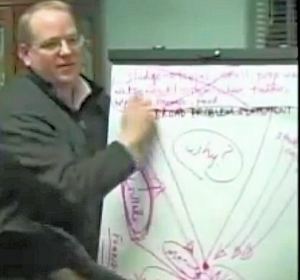 These issues include the proper way to change a state constitution; the use of unwitting community residents to advance the political agenda of environmental extremists; the exposure of municipalities to significant damage awards; the potential for civil and criminal penalties against municipalities and municipal officials who adopt these ordinances; the unnecessary and counterproductive waste of time, money, and resources spent proposing, adopting, challenging and defending these ordinances; the loss of safe, responsible, and lawful development and all the economic activity that results; and the unnecessary creation of animosity that undermines and thwarts mutually beneficially working relationships among the affected businesses, industries and municipalities. Proponents of these ordinances admit that the ordinances are unconstitutional but want more publicity to advance a political agenda of social and constitutional change, while opponents want more publicity to focus attention on all the wasted resources and lost opportunities resulting from the adoption of these ordinances. Opponents are also seeking to focus attention on the blatant illegality of these ordinances, both in their own right and as a vehicle for the social and constitutional change the proponents seek. Invalidating state and federal government permits and laws inconsistent with the ordinance. The significant effects of these ordinances on the municipalities and businesses involved belie the small size of the Community Environmental Legal Defense Fund (CELDF) 4, the Pennsylvania-based “public interest” law firm/organization soliciting and then convincing and aiding municipalities across the country to adopt them. Recently, and closer to home, Grant Township in Indiana County adopted one of the CELDF ordinances in response to PIOGA member Pennsylvania General Energy’s underground injection control well, permitted by both the U.S Environmental Protection Agency and the Pennsylvania Department of Environmental Protection. In October, PIOGA petitioned to intervene in PGE’s federal court challenge to the ordinance, which also grants township residents the “right to be free from activities related to fossil fuel extraction and production,” but the court has not yet decided whether PIOGA may intervene. It was an ecosystem’s attempt to exercise its “rights” that attracted media attention to the Grant Township ordinance. A few weeks after PIOGA requested intervention, the Little Mahoning Watershed—described as “an ecosystem within the Township, along with its associated aquatic and terrestrial natural communities, the Little Mahoning Creek and its tributaries including East Run Creek and Mill Run Creek, and underlying groundwater systems”—petitioned to intervene in PGE’s federal court action. These other communities include those named in the articles mentioned above. This article references a 2008 Commonwealth Court decision involving a CELDF ordinance adopted by East Brunswick Township banning corporations from spreading sewage sludge fertilizer on farmlands. There are several reasons why the Township’s argument must be rejected. First and foremost, we are not prepared to reject one of the most basic precepts of governmental structure in this Commonwealth, i.e., that “local governments are creatures of the legislature from which they get their existence.”. . . Indeed, under our constitution, local government begins with enabling legislation enacted by the General Assembly [pursuant to Article IX, Section 1]. The Township’s argument stems from a flawed premise. Article 1 of the Pennsylvania Constitution sets forth a Declaration of the Rights of individual citizens, not the rights of municipal corporations. It protects individuals “against infringement by government.” . . . Specifically, the “inviolate” rights referenced in Section 25 are those “fundamental rights [of citizens] that cannot be encroached on by the state government.” … A township is not a citizen. Article 1, Section 25 does not recognize or protect the rights of local governments from encroachment by state government. 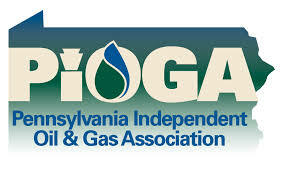 Moody stated that PIOGA will vigorously fight these ordinances on multiple fronts. 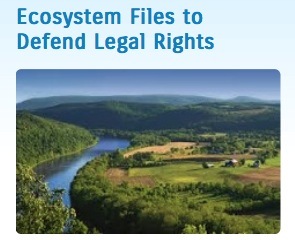 6 “Indiana County township claims ecosystem has legal rights” – stateimpact.npr.org/pennsylvania/2014/12/01/indiana-county-township-claims- ecosystem-has-legal-rights/. StateImpact Pennsylvania is a collaboration between Public Broadcasting stations WITF and WHYY, and a reporting project of NPR member stations. 8 Commonwealth of Pennsylvania v. East Brunswick Township, and East Brunswick Township Board of Supervisors, 956 A.2d 1100, 1107 (Pa.Cmwlth. 2008). 9 956 A.2d at 1106-1107. 13 “Mora County and the Parachute Organizers, Environmental extremists target a poor county for a ban on all drilling, not just fracking” – capitalresearch.org/wp-content/uploads/2014/05/GW1405-final-for-posting- 140428.pdf , p.4. “CELDF works with communities to establish Community Rights – such that communities are empowered to protect the health, safety, and welfare of their residents and the natural environment, and establish environmental and economic sustainability”. Now according to this, this phantom group works to establish Community Rights. It would be nice if they let us know just how many New York State Southern Tier Landowners are members of this group and how come we haven’t heard from them? It just might be more appropriate if this particular group was operating in the Southern Tier of the Soviet Union. I think you are confusing this group with the Slottjes. With all this pushing and shoving going on when does it turn to suing landowners for the return of lease money they accepted from gas companies? 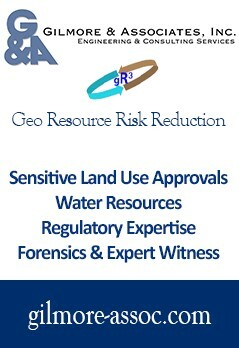 The gas companies pay in good faith on the premise that they are in fact dealing with the true owner of leased resources. When it boils down to the fact they do not, should not they have to return the money? That’s the way it works for everything else in this nation. I have a feeling this would go a long way toward ending towns trying to wiggle out of honoring the leases they allow to be filed and then taxed the revinue? I realize this seems harsh but all of this stuff is for someone depending on the outcome in court. I find it fascinating that the people who complain about the evil, oppressive fascist, boot-licking federal apparatus in their fight for the home rule principle when it comes to so-called “voting rights” campaigns designed to limit minority participation in the electoral process are often the very same who say that federal and state law trump home rule when it comes to the rights of oil and gas companies to take what they want. The principle of “Don’t Tread on Me” enshrined in the Gadsden Flag needs to be applied uniformly, not just to the inconsistent goals of Tea Party types. It is in this sense that CELDF is the true patriot and conservative, performing a public service and patriotic duty by exposing contradictions in local, state and federal law so that the meaning of the Gadsden Flag is conserved. I see that Josh Fox is on the CELDF “Board of Advisors”. It looks like his “advice” could now cost Mora County taxpayers hundreds of thousands of dollars in legal fees. A CELDF promoted ordinance banning hydraulic fracturing and natural gas development was enacted by the county in 2013. Last week U.S. District Judge James O. Browning, in a 199 page ruling, said that the ordinance conflicted with state law, and violated the U.S. Constitution, invalidating the ordinance in its entirety.